Home owners in Australia can take advantage of the homewares that are available from Sheridan as they only ship within that area. On their website you can take a look at their array of bedroom products, bath and beach items, loungewear, gifts, and homewares. If you’re decorating a nursery or if you’re expecting a child, they also have product categories to suit your needs. On the front page of their website you’ll find their most recently added merchandise along with any products that are on sale. If you want to see an item in person before buying it online, use their store locator. 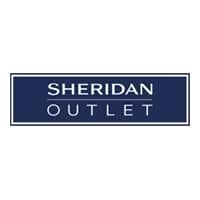 For most up to date offers check out Sheridan Outlet on Facebook and Twitter or contact Sheridan Outlet Support for any questions.